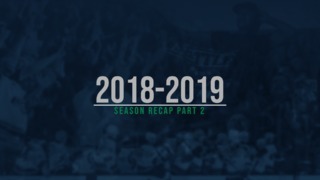 KENT, April 15, 2019 — Three Seattle Thunderbirds are listed on the NHL Central Scouting Final Rankings released today for the 2019 NHL Draft scheduled for June 21 and June 22 in Vancouver, British Columbia. Goalie Roddy Ross is ranked number 17 among North American goalies. Ross, born July 4, 2000, signed a WHL Standard Player Agreement with the team on January 1, 2019. In 25 regular season games with the T-Birds he was 16-5-1-2 with a .919 save percentage and a 2.76 goals against average. Ross was not ranked in the NHL Central Scouting Midterm Rankings released on January 20, 2019. Ross joined the T-Birds from the Camrose Kodiaks in the AJHL. Right wing Henrik Rybinski is ranked number 123 among North American skaters. Rybinski, born June 26, 2001, was acquired from the Medicine Hat Tigers on January 4, 2019, for defenseman Aidan Brook, a second round pick in the 2019 Bantam Draft, and a third round pick in the 2020 Bantam Draft. Rybinski played 33 regular season games with the T-Birds and had seven goals and 28 assist for 35 points. 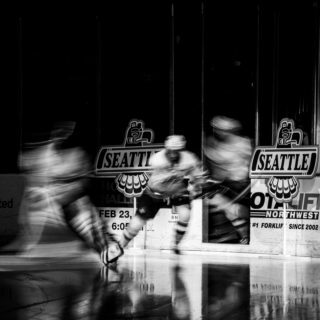 In 47 games combined with the T-Birds and Tigers he had eight goals and 32 assists for 40 points. Defenseman Jake Lee is ranked number 146 among North American skaters. 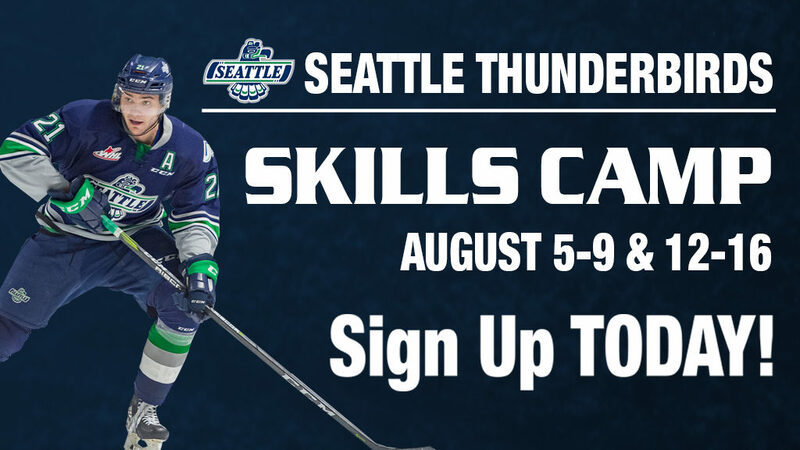 Lee, born July 13, 2001, was the T-Birds first round selection, and the 18th overall pick, in the 2016 WHL Bantam Draft. This season Lee played 67 games and had three goals and 21 assists for 24 points. In his rookie year last season Lee played in 64 games and had four goals and six assists for 10 points with 69 penalty minutes. Left wing Dillon Hamaliuk, who had a limited viewing rank on the NHL Midterm Rankings, was listed but did not receive a ranking number on the NHL Final Rankings. Hamaliuk missed the second half of the season with a lower body injury. 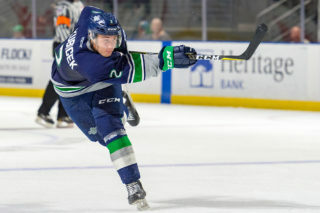 He received a ‘B’ rating from NHL Central Scouting in the November Players To Watch List, indicating he could be a potential a second or third round NHL draft candidate. Hamaliuk, born October 30, 2000, was the T-Birds sixth round selection, 111th overall, in the 2015 Bantam Draft. Hamaliuk had 11 goals and 15 assists for 26 points in 31 games this season. Last season Hamaliuk played in 72 games and had 15 goals and 24 assists for 39 points. 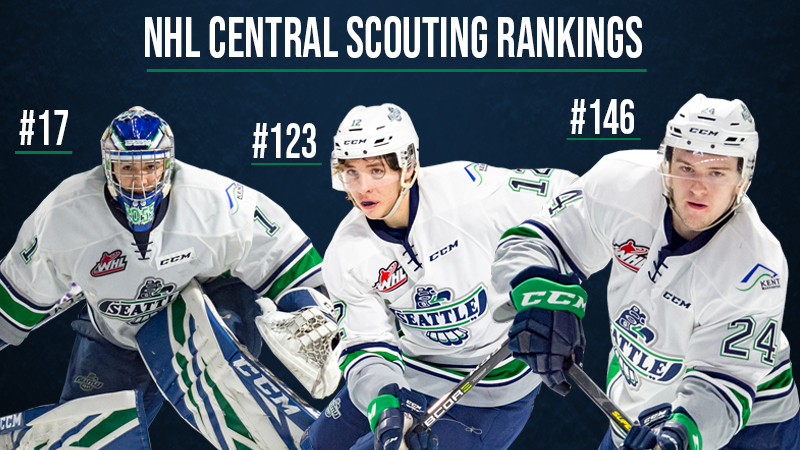 All three T-Birds are part of the 50 combined WHL skaters and goalies listed in the NHL Central Scouting Final Rankings.